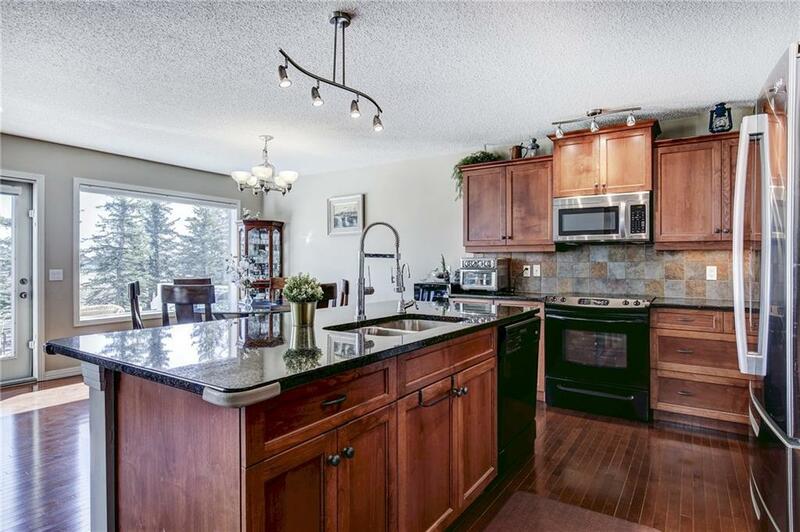 Incredible value backing on to golf course in sought after Crystal Green lake community. 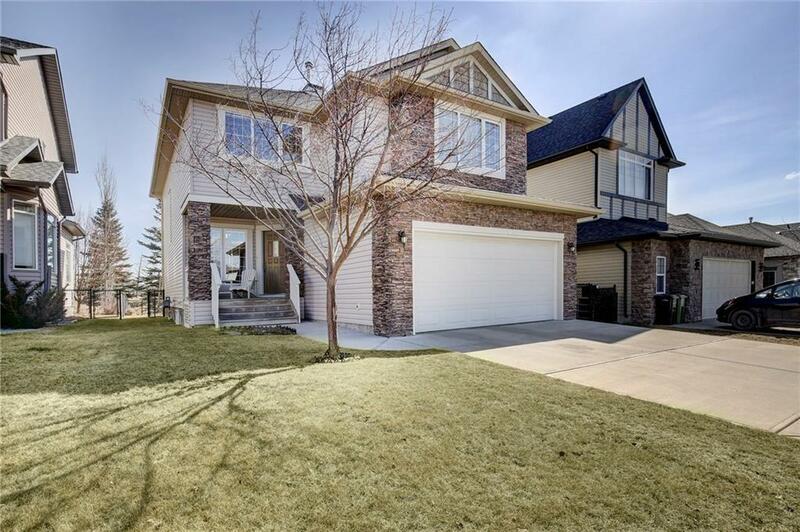 The main floor of this bright home features cathedral ceilings w/ two story windows in living room, cosy gas fireplace, & view to the 9th fairway. 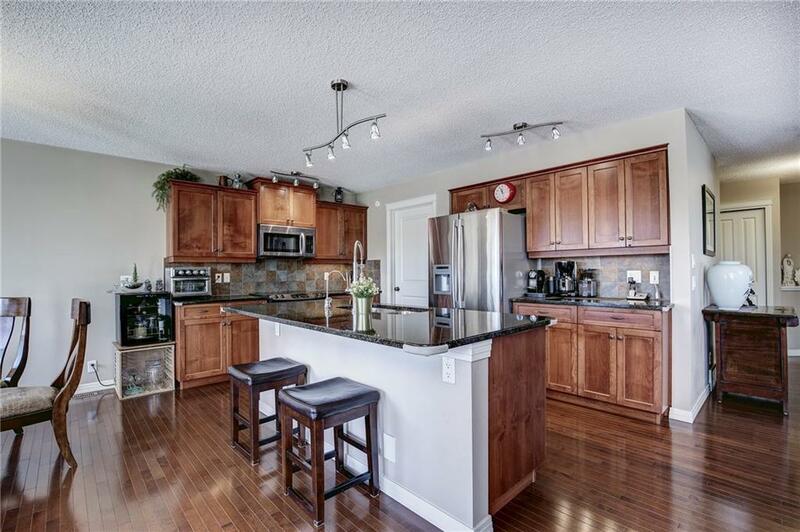 The open concept kitchen/dining area is bathed in natural light, with hardwood throughout. 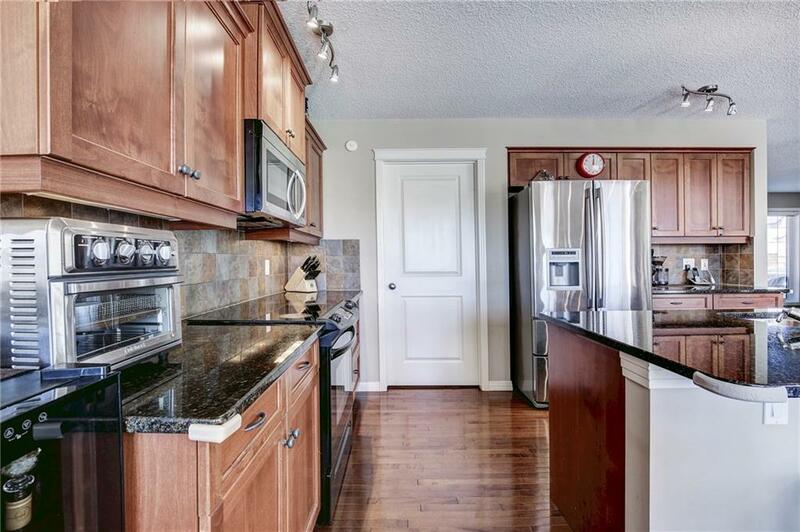 Kitchen features quartz countertops, stainless steel appliances, rich cabinetry, & a spacious walk through pantry. The private entry, office/den in the front, laundry/mud room, + half bath complete the main floor. Upper level master suite w 5 pc ensuite + walk in closet featuring further views, two additional bedrooms, 4pc bath, & a spacious bonus room. Hardwood throughout upper floor, AC, water softener, filtered water tao in kitchen, 3pc RI in bsmnt for future development. Backyard boasts customized two tiered deck for maximum enjoyment of the golf course view. Located close to schools, lake privileges, steps from playground, REC centre nearby, & quick access to Calgary.